Holy Goof steps up for ‘FABRICLIVE 97’, hot on the heels of recent instalments from Mefjus (FABRICLIVE 95) and Skream (FABRICLIVE 96). 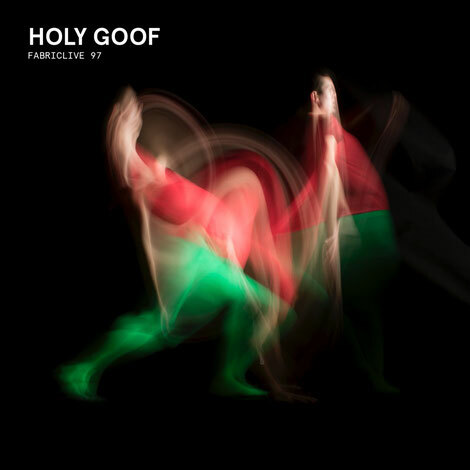 Possibly the embodiment of an emerging generational demarcation within British electronic music culture, Holy Goof is at the forefront of a new breed of bass driven house that’s providing the sound track for a new generation. Released on 23 March on CD and digital, ‘FABRICLIVE 97’ is about as close to the much-vaunted Holy Goof live experience as it gets. Keen to present a reflection of his sound, within the 31-strong tracklist he’s combined 15 exclusives featuring his own ‘Weapon’, ‘Shutdown’ (his collaboration with Chris Lorenzo), Holy Goof x Notion ft. Face ‘Harder VIP’, DJ Zinc x Chris Lorenzo’s Gammy Elbow VIP’, Distinkt ’24 Hours’, and FooR’s ‘Everybody’s Free’, and eight unreleased tracks including Goof’s ‘Eyes On You’, Zero ‘Arrival’, Brent Kilner ‘Could This Be’, and Bushbaby ‘Talk’, alongside some of the tracks that have shaped the scene thus far. Born and raised in Coventry (just around the corner from the fish & chip shop once opened by Muhammad Ali), he gave himself a musical education via hip hop and Helter Skelter tape packs before moving into UK garage, speed garage, dubstep, 4x4 bassline, UK funky, and bass house. This melting pot of musical influences – with a harder edge and plenty of bass being a common theme throughout – inspired him to translate these influences into his own productions. But his music career almost never happened, an English Championship winning amateur boxer in his teens, both his early production equipment and his first set of decks ended up gathering dust due to five nights of intense training each week, and he eventually sold them. It was only when he ended his boxing that he returned to making music and DJing. Throwing all his energy into production, Goof's sound started getting support from the likes of Royal-T, and Flava D. His first release as Holy Goof was the 2015 track ‘Telling You’ on Certified Bangers. This led to record deals with Party Like Us Records, Tumble Audio, Four Forty Records, and DJ Zinc’s Bingo Bass label (not forgetting his bootleg of Skepta ft. Young Lord’s ‘It Ain’t Safe’). Now also releasing on his own platform HGMusic, he’s got a slew of productions lined up for 2018, and is set to make the next 12 months his most prodigious yet. He made his London DJ debut in fabric’s room 2 in 2016 - a lifelong dream realised, having previously had the “best night of his life at FWD vs RINSE at the club. In tandem with the show, he dropped a DJ mix for fabric’s SoundCloud, which racked up plays comparable to established artists (now approaching 100k listens). The following year he played the main room for Flava D’s launch party. He’s since played the likes of Boiler Room, Brixton Academy, Glastonbury, Detonate, Love Saves the Day, Kendal Calling, and beyond. His own musical history owes a lot to FABRICLIVE – and he credits Caspa & Rusko (37) as having a huge influence on him. 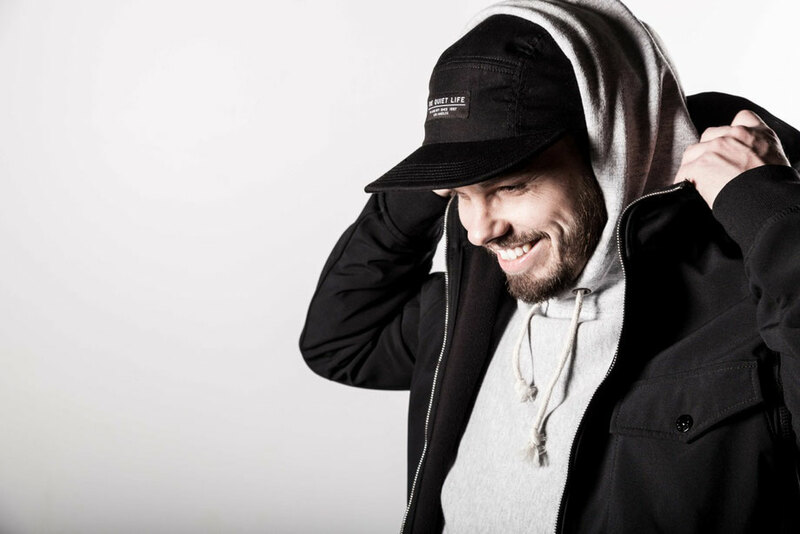 Holy Goof will play the FABRICLIVE 97 album launch party at fabric on 16 March, with a line-up carefully curated by Goof himself, including the Streets frontman Mike Skinner and the self proclaimed ‘prince of UKG’ Conducta. Completing the line-up will be a selection of some of the best of UK bass music culture: FineArt, Voltage, Distinkt and Tom Shorterz. Room 2 will be represented by London DNB label Spearhead Records.